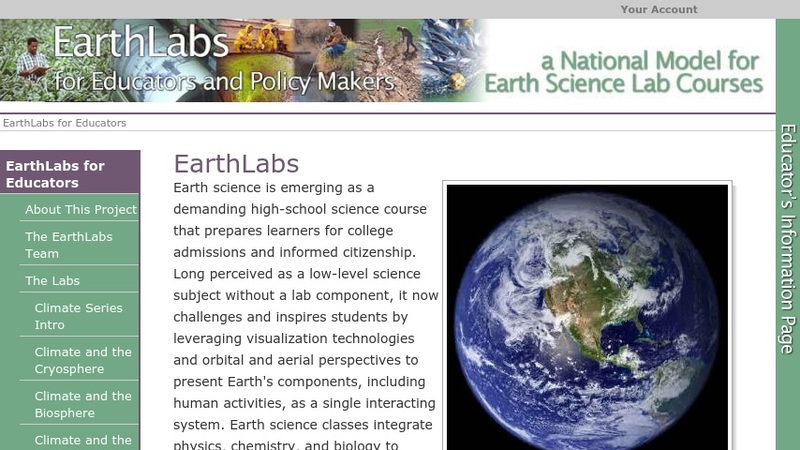 The EarthLabs project provides a national model for rigorous and engaging Earth and environmental science labs. The activities in each EarthLabs topic represent a lab sequence for an integrated instructional unit. Six topics are available: corals, cryosphere, drought, earth system science, fisheries and hurricanes. There are six to nine labs within each topic with complete directions.